Fixed Departure: June 15th – June 29th 2020. See Itinerary below for details. Are you suffering from nature deficit disorder? Has your life become, well, a little bit dull? 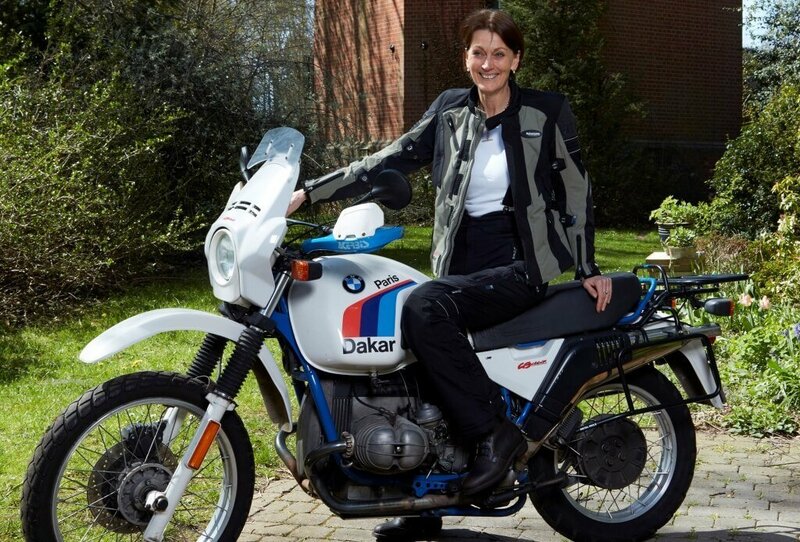 Do you fancy riding one of the world’s GREATEST road trips, in the company of one of the world’s most LEGENDARY female bikers? 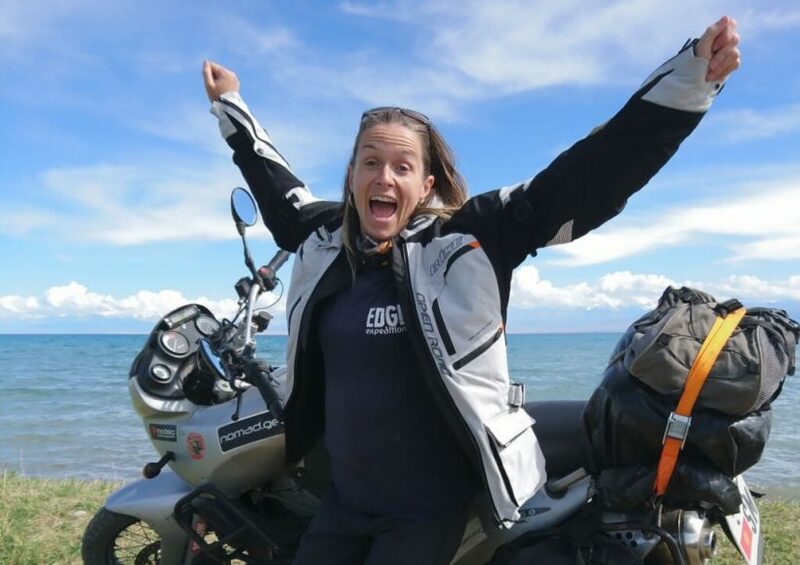 Then adjust your frequency by coming on a jaw-dropping ride along Central Asia’s legendary Pamir Highway with none other than the great Elspeth Beard, the first British woman to motorcycle around the world. We are keen to encourage as many lady riders to come and join Elspeth and Antonia as possible, so this trip will have 50% of the places reserved for ladies. The Pamir Highway is indisputably one of world’s most thrilling road trips. This glorious route takes you over the highest pass of the former Soviet Union, past one of the largest meteor-lakes in the world and through some of the most awe-inspiring mountains on earth. 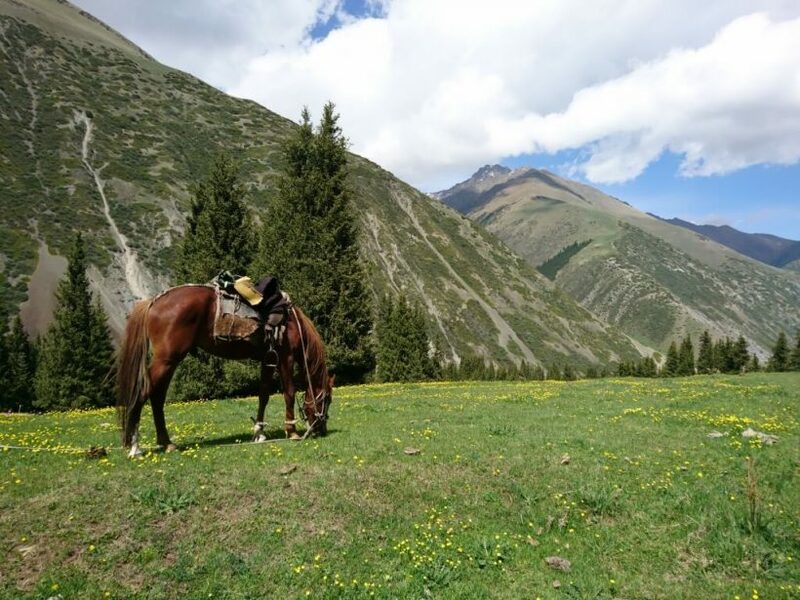 We’ll ride through epic, untrammeled wilderness alongside rushing turquoise rivers and massive, snow-capped peaks. 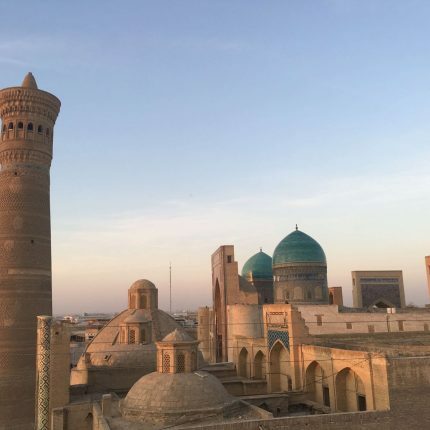 We’ll meet fabulously friendly people, stay in delightful homestays, learn about Tajik, Kyrgyz and Persian culture, sleep in nomad’s yurts, bathe in hot thermal springs and marvel at ancient petroglyphs, 2000 year old Buddhist stupas, stunning Silk Road fortresses and hyperbole defying views. 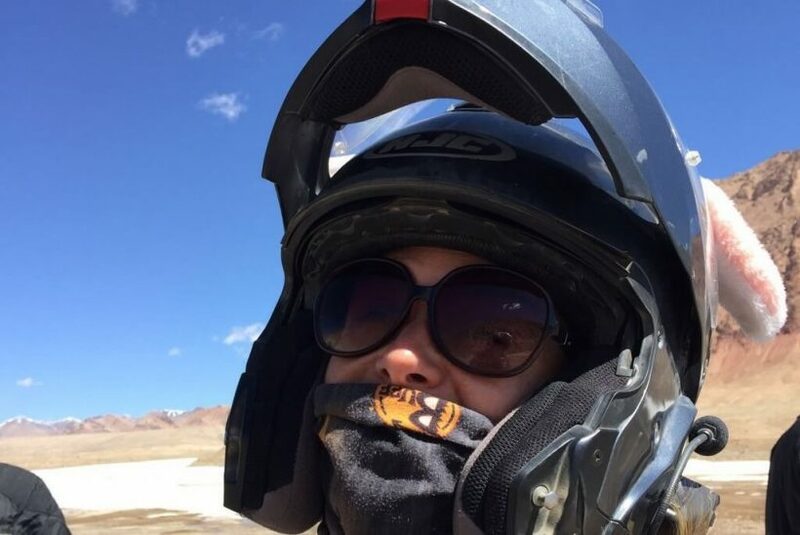 All whilst following in the footsteps of historical legends such as Timur, Alexander the Great and Marco Polo, and accompanied by not only Elspeth Beard, but also fellow lady biker and author Antonia Bolingbroke-Kent. 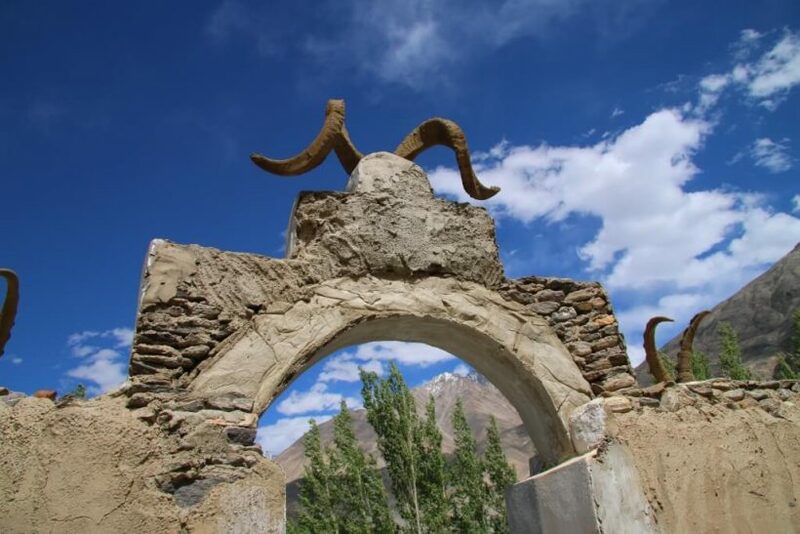 This itinerary starts and ends in Dushanbe and takes in the Darvaz region before heading into the Pamir Mountains. 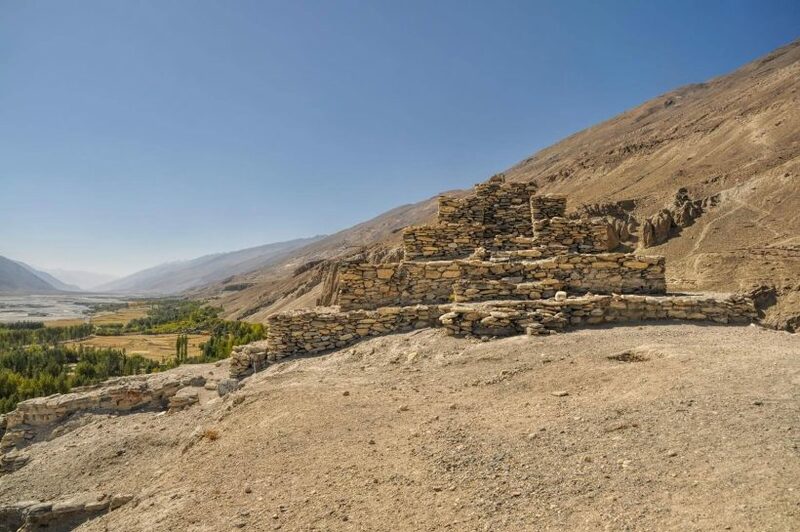 You’ll follow the magnificent Wakhan valley, ride across the lunar Murghab plateau, cross into Kyrgyzstan, then pass through the northern Tajik city of Khujand on your way back to Dushanbe. The bikes will be well maintained Suzuki DRz400 dual-sport machines and we will have a mechanic travelling with us in the back-up vehicle at all times. 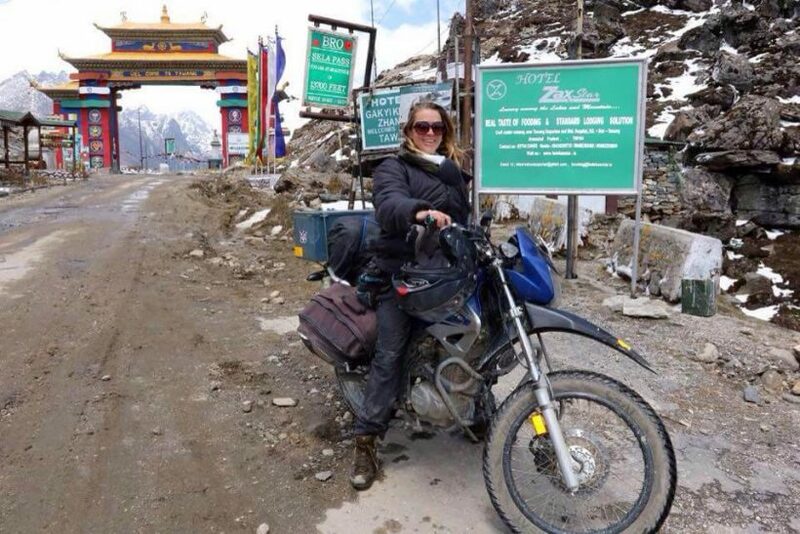 Note that these little bikes are perfect for the terrain, but they are not suitable for two-up pillion travel. DEPARTURE TIME Please ensure you arrive in good time for the expedition to begin, as noted in the itinerary and subsequent information pack we will send to you after booking. Suzuki Drz400E/S motorcycle, prepared and maintained for your use. Please note that we will need to see your proof of holding a motorcycle licence – experience counts but we do need to see a licence too, please. 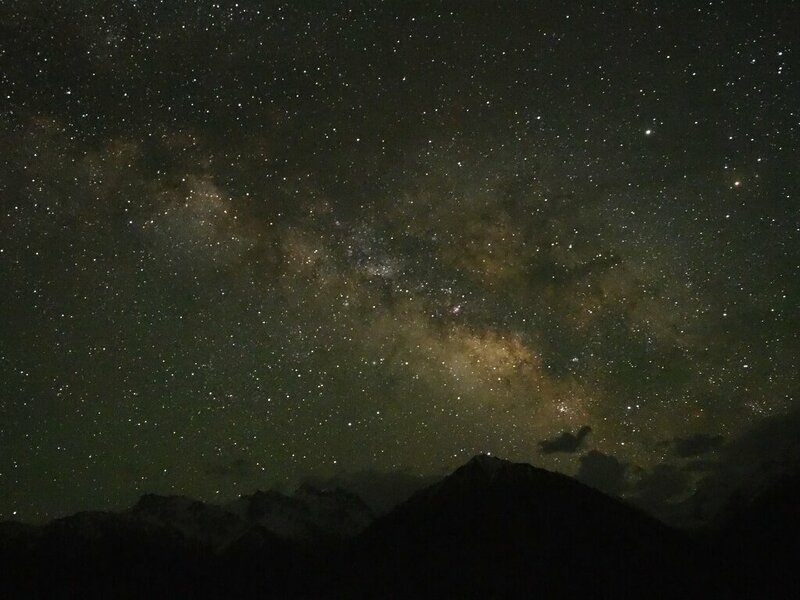 At times it will be roastingly hot, at others you’ll need to hunker down against mountain hailstorms, but at every turn you’ll be amazed, awed and humbled. There will be a maximum of 10 riders in the group. You’ll run out of superlatives to describe your trip. What are you waiting for? *Thanks to Will White for the lovely recent portrait shot of Elspeth. June 15th to June 29th 2020. Maximum group size 10 people. Flights (usually Turkish Airlines via Istanbul) arrive at the rather ungodly hour of 03.45 so this will be a gentle day of sleeping, acclimatising, eating and drinking. It’s chocks away as we hit the road to Kala i Hussein 220 km east of the capital. We’ll stop for lunch by a lake where you can swim, and by then we will have left the tarmac behind for a few days as we head into the mountains proper. 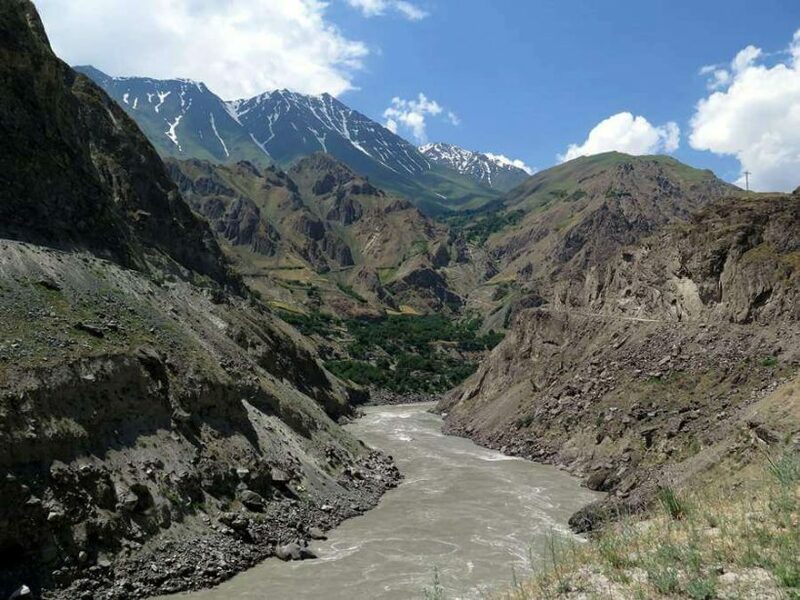 A thrilling (and at times chilly) 70 km ride over the 3852 m Khaburabot Pass to Kala-i–Kumb, where we join both the mighty Panj River and the border with Afghanistan. 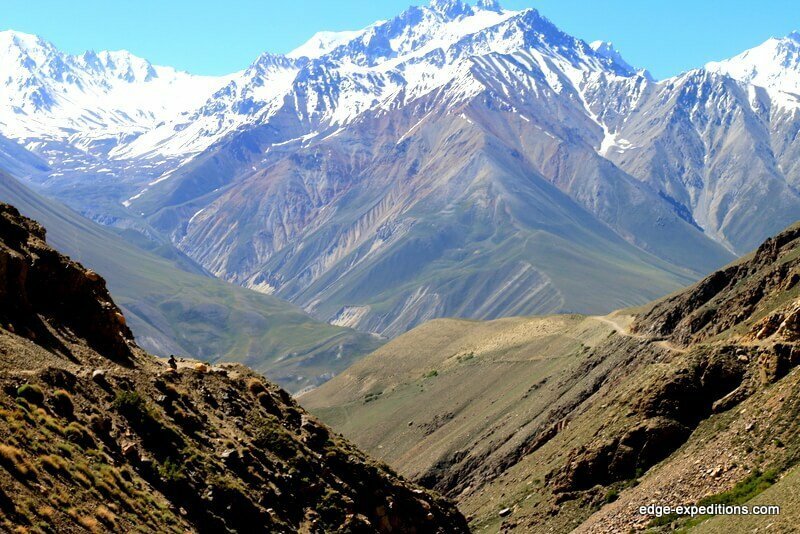 On the way we enter Gorno Badakhshan, the autonomous province that defines the Tajik Pamirs. 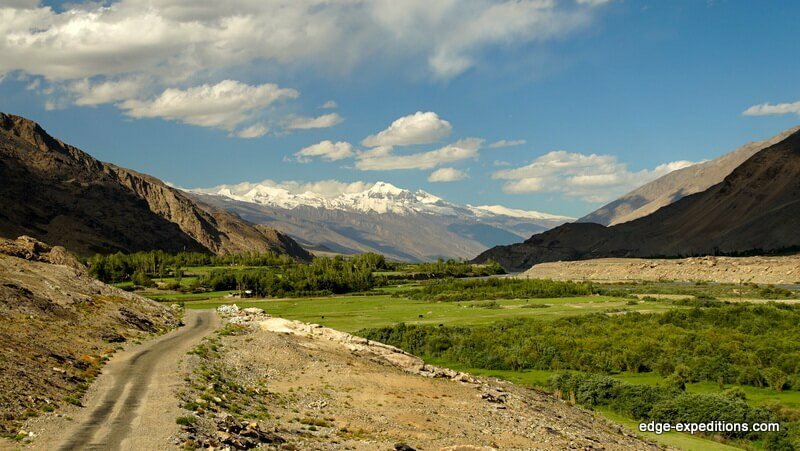 We head deeper into the mountains, following the Pamir Highway and the Panj 240 km south-east to Khorog along the Afghan border. Expect soaring eagles, stunning mountain scenery and dusty roads carved through deep river gorges. 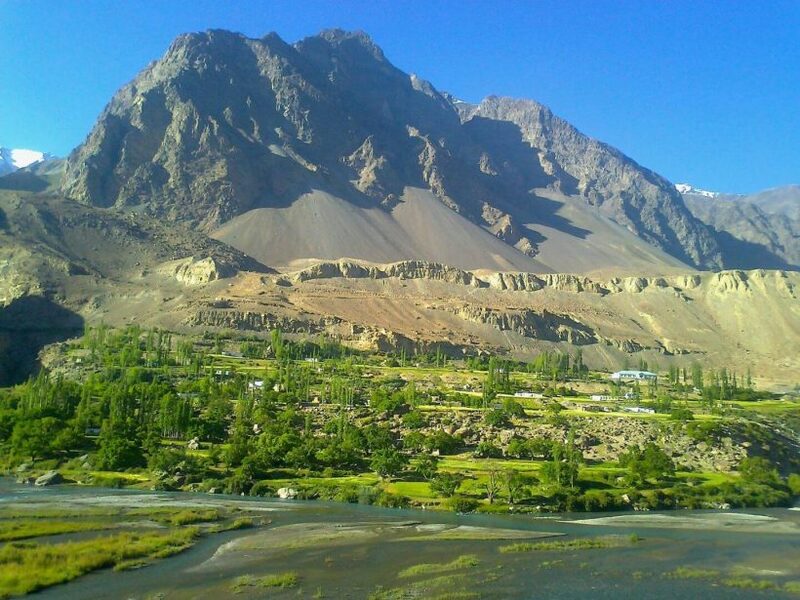 From Khorog we continue south to Ishkashim. After this we turn east into the Wakhan Corridor, riding in the shadow of both the High Pamirs and Pakistan’s Hindu Kush. Tonight after a total ride of 160 km we stay in Yamchun, home to a 2000-year-old Silk Road fortress and some extremely reviving hot springs. 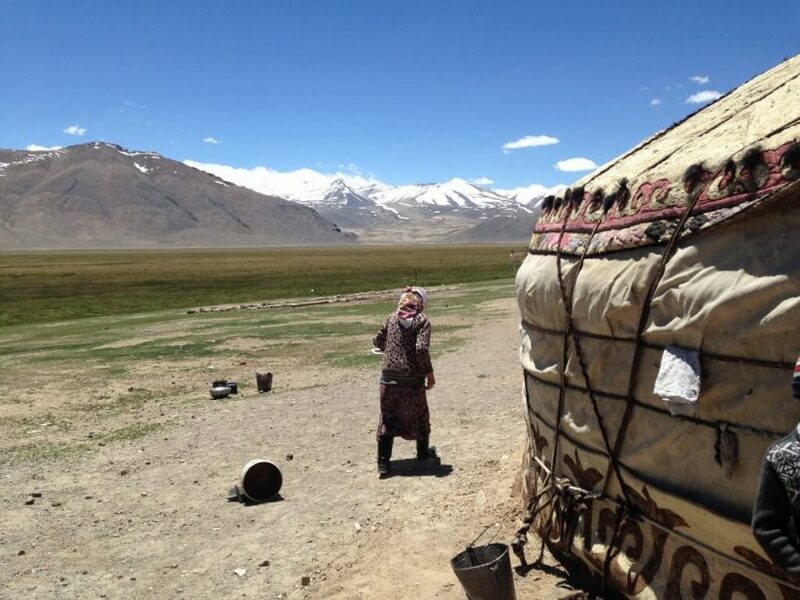 There’s so much to see in the Wakhan Corridor that today we just ride 40 km to the village of Langar. 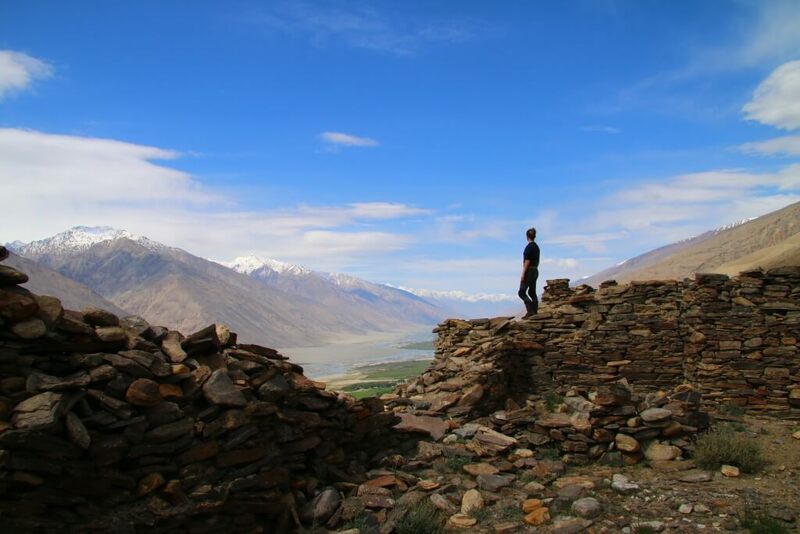 On the way we climb up to Buddhist stupas, visit a great little museum and stop in some lovely Wakhi villages. 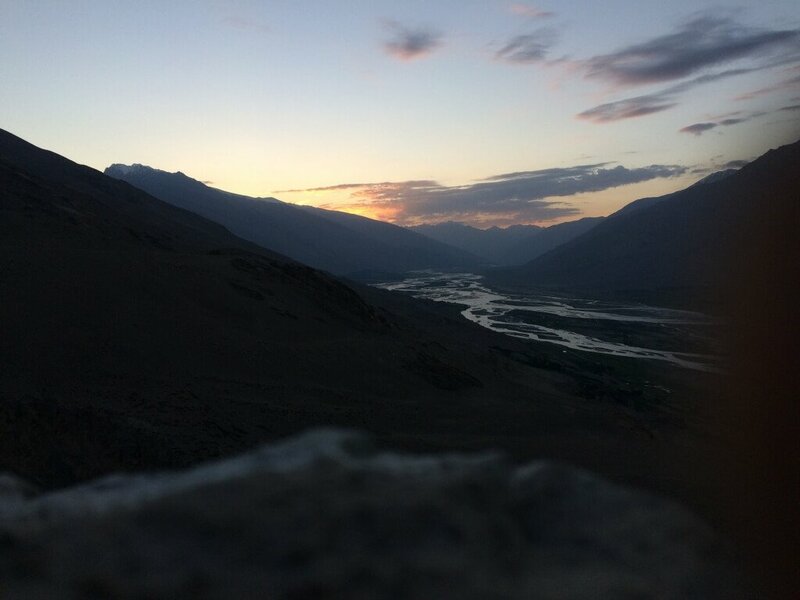 The views here across to Afghanistan and Pakistan are quite something, and the family at tonight’s homestay are utterly delightful. 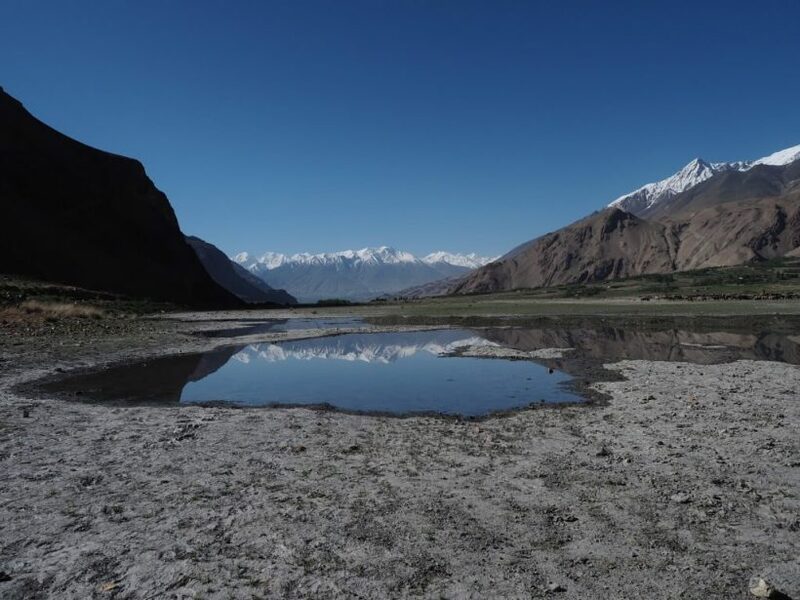 We leave the Wakhan Corridor and the Panj River behind us today and ride 130 km north and east, following the Pamir River through the Zorkul Nature Reserve. 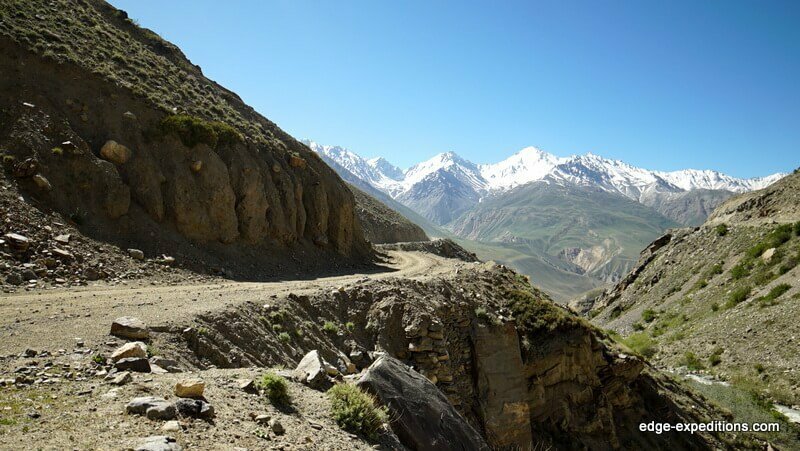 This route lies between the Alichur and Great Pamir mountain ranges and offers some rather spectacular views as we ford a 4400 m pass. We’ll spend tonight with a friendly family at a wilderness camp at over 4100 m. More hot springs await us here! What a way to spend the summer solstice. 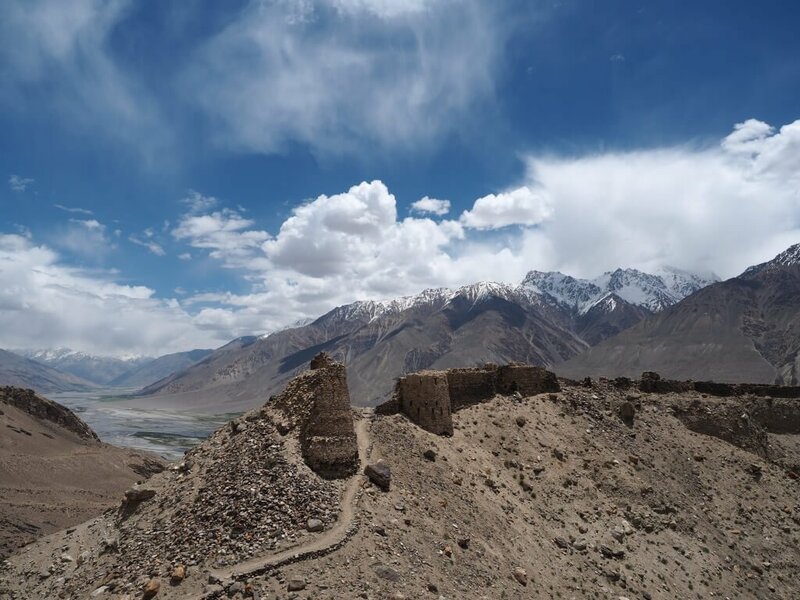 From the camp it’s a blustery 165 km ride across the extraordinary lunar landscape of the Aksu River valley, to the town of Murghab. 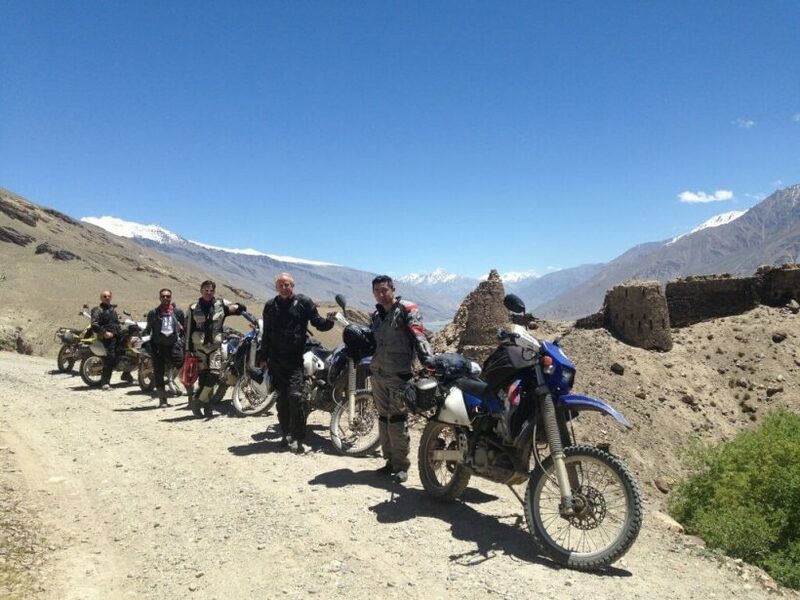 Now we really are riding on the Bam-i–Dunya, ‘the roof of the world.’ To our right lies the Saray Kol range and behind it, China. To our rear are Afghanistan and Pakistan; truly one of the most remote tri-borders in the world. 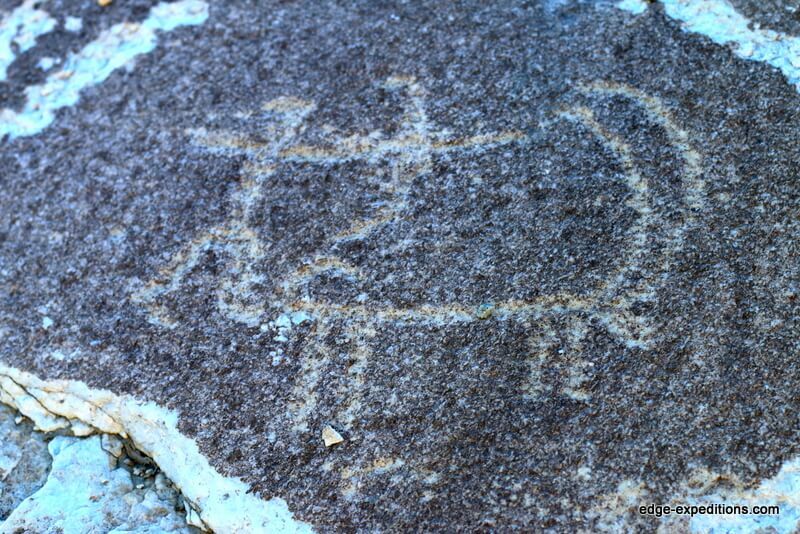 Watch out for yaks, Kyrgyz nomads and fat golden marmots. 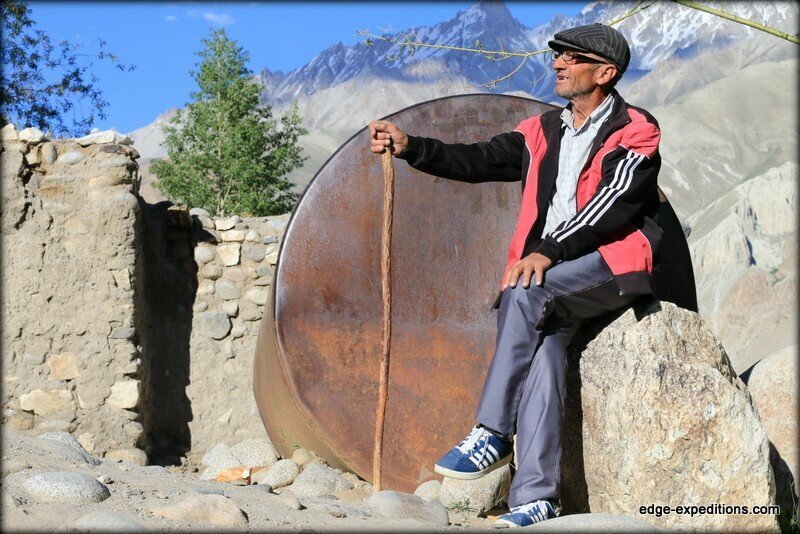 Time and weather permitting, we will visit an abandoned Soviet observatory before arriving at Murghab. 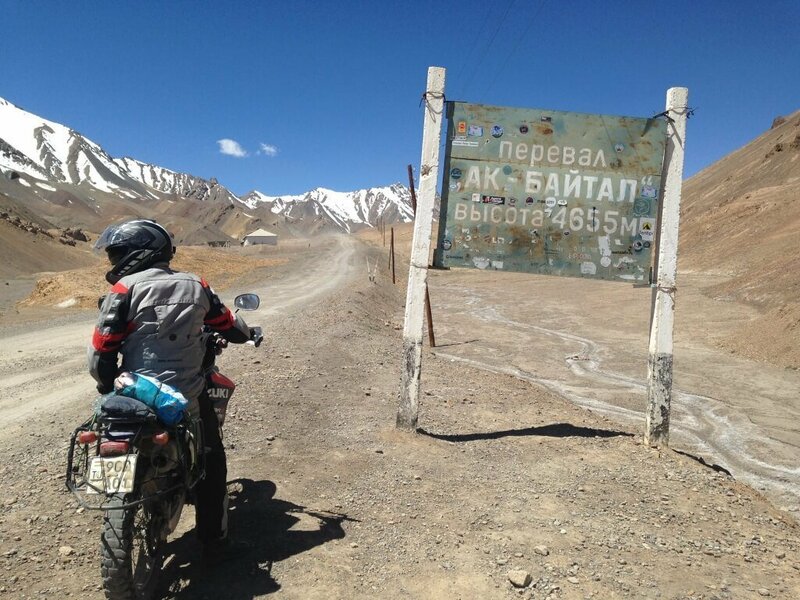 From Murghab we head up over the 4655 m Ak-Baital (the highest pass in the former Soviet Union) to the Kyrgyz border. 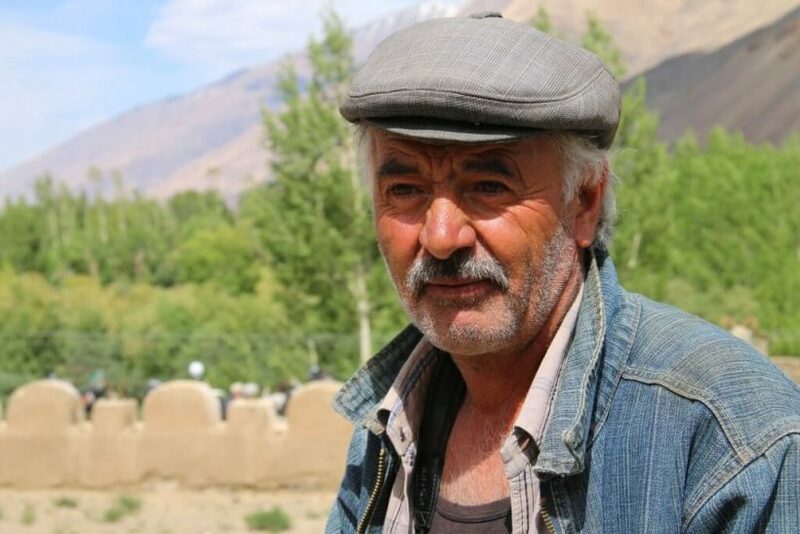 Once over, we stay in the town of Sary Tash. Today’s riding distance is 235 km. 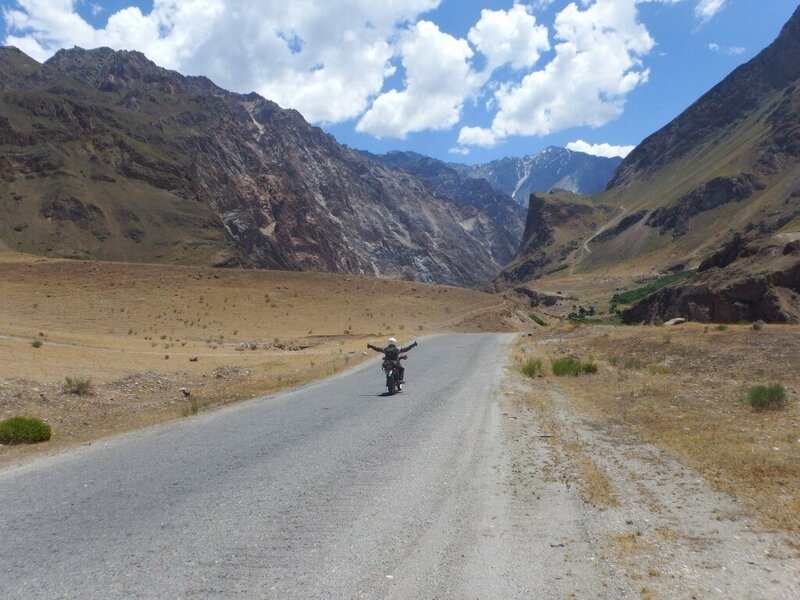 A beautiful 180 km ride through the southern heart of Kyrgyzstan (the Switzerland of Central Asia) to Osh. Day off in Osh to explore this former Silk Road city with its brilliant bazaars, mosques and museums. 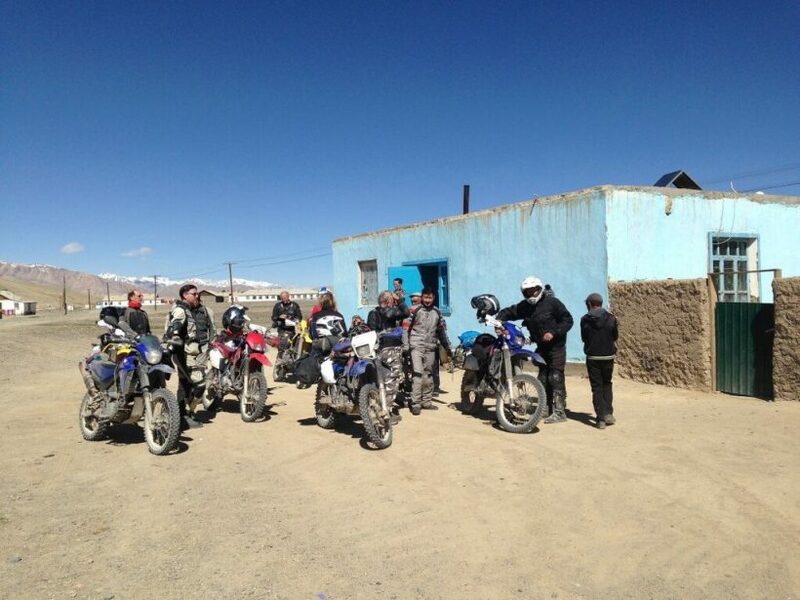 Today we ride from Osh to Khujand, in Tajikistan, via the Tajik – Kyrgyz border crossing at Batken. At 380 km, this is the longest day we’ll do. Our final day’s riding – and the day we tackle the infamous (but recently repaired) Anzob Tunnel. After 220 km on tarmac roads, we’ll be back in Dushanbe for supper. Day off in Dushanbe – it’s your time to explore this interesting city, maybe visit a spa for a massage, do a spot of shopping, explore the bazaar or just relax in the comfortable hotel. The suggested Turkish Airlines flight (via Istanbul) departs at another ungodly hour of 05.40. Hardly worth going to bed is it? Elspeth Beard is one mighty-fine human and without doubt one of the coolest lady cats on the block. 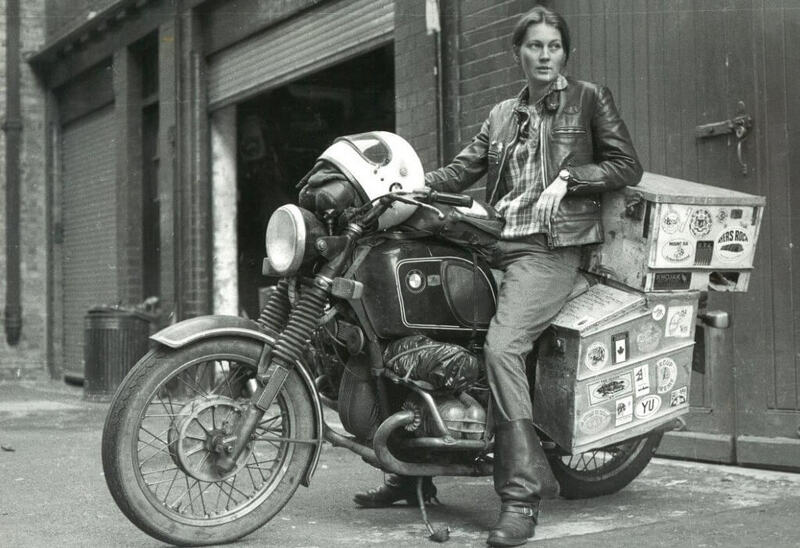 In 1982, at the age of just twenty-three and halfway through her architecture studies, she left her family and friends in London and set off on a 35,000-mile solo adventure around the world on her 1974 BMW R60/6. 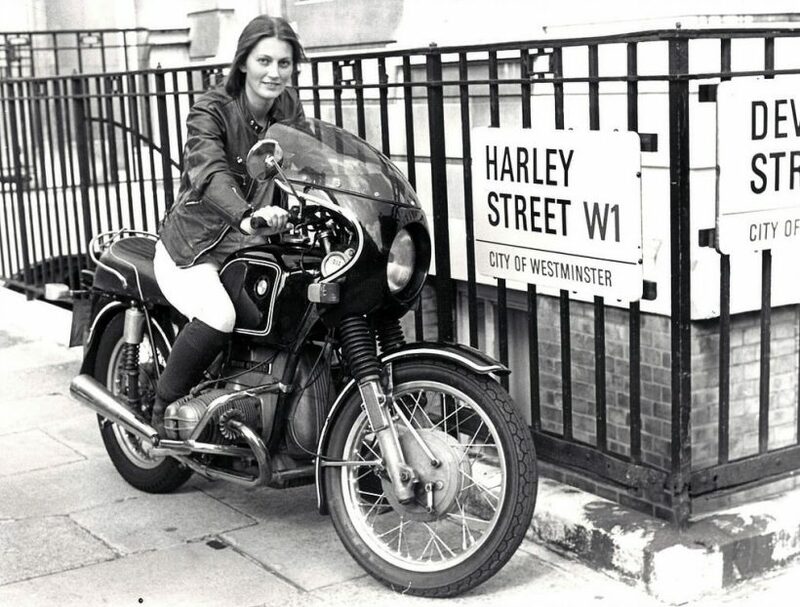 When she returned to London nearly two and a half years later she was stones lighter and decades wiser. 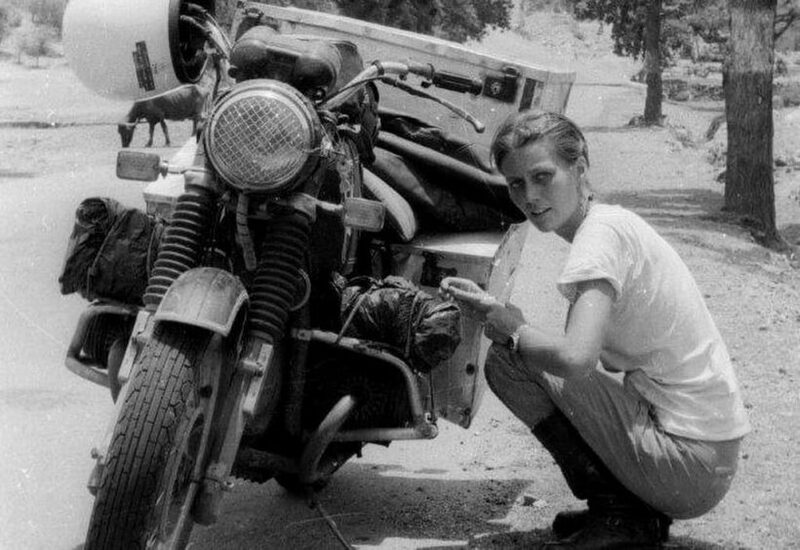 She’d ridden through unforgiving landscapes and countries ravaged by war, witnessed civil uprisings that forced her to fake documents, and fended off sexual attacks, biker gangs and corrupt police convinced she was trafficking drugs. She’d survived life-threatening illnesses, personal loss and brutal accidents that had left permanent scars and a black hole in her memory. Quite apart from that, Elspeth is an award-winning architect. 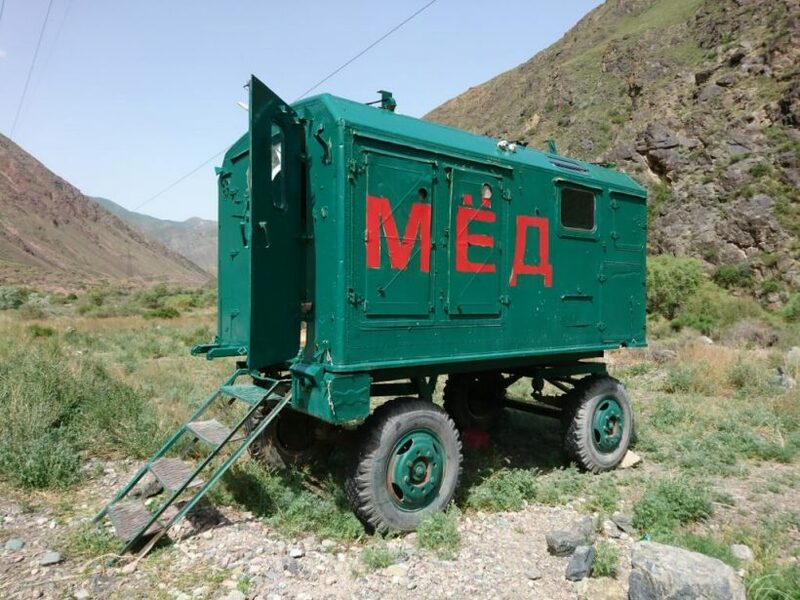 On this expedition, we’ll be staying in a 58 hotel in Dushanbe, good hotels in the few towns we pass through, and gorgeous family-run homestays in the mountains. 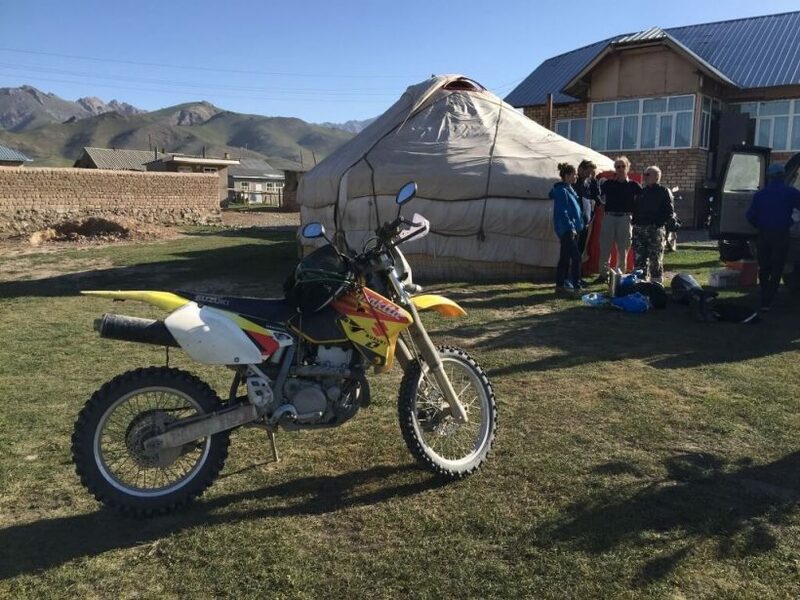 The homestay concept is widely accepted throughout Tajikistan and Kyrgyzstan – particularly the former – so these nights are often highly enjoyable glimpses into local customs and lifestyles. 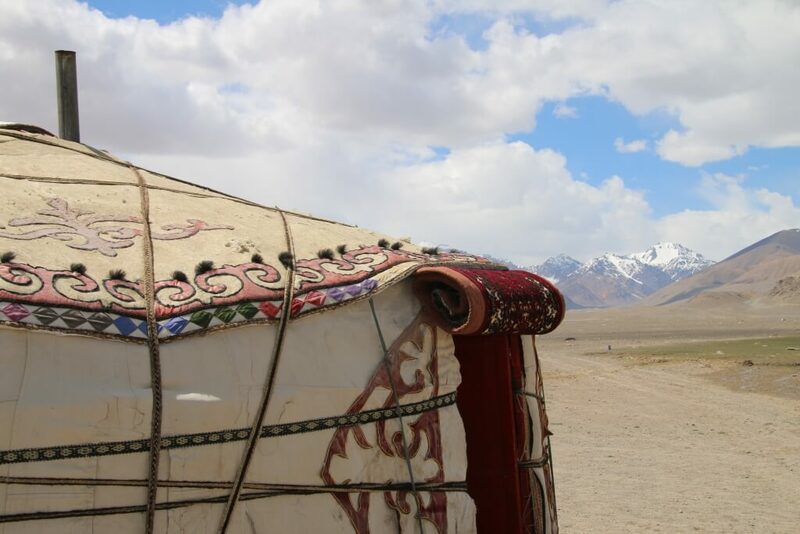 We also stay in yurts in a couple of locations on this trip. We feel that true luxury is getting to know a place and its people, not necessarily measured by the thread count of the bed linen or the number of hotel restaurants. Our group sizes are always small, allowing for an intimate experience of the cultures we meet along our path. On this trip, we will have a maximum group size of 10, plus Elspeth, Antonia and a local back-up team of two. We usually find groups are made of like-minded people, from a wide age range, and where motorcycles are involved, this is particularly true. Of course on this trip, we’ll be reserving half of the posisble places for women riders. Do I need to be able to ride off-road? 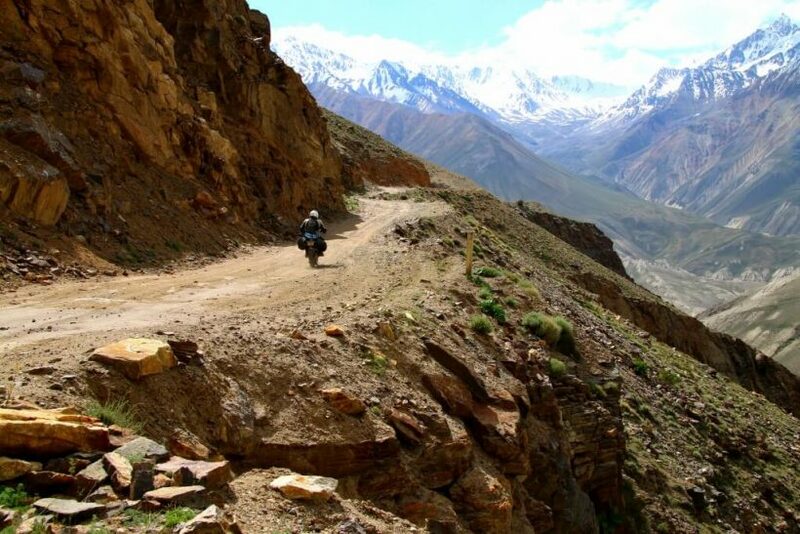 This is challenging, exciting riding in unfamiliar terrain, much of it at altitude. You need to be a competent biker with a full-motorcycle license. While off-road experience is preferable at the time of booking, if you don’t have any current off-road riding experience, then you will need to go on at least a weekend off-road riding course before the trip. We have excellent training partners in Wales (UK) who we can point you in the direction of, or you can find a local supplier wherever you live. Why have you chosen such small engined bikes? 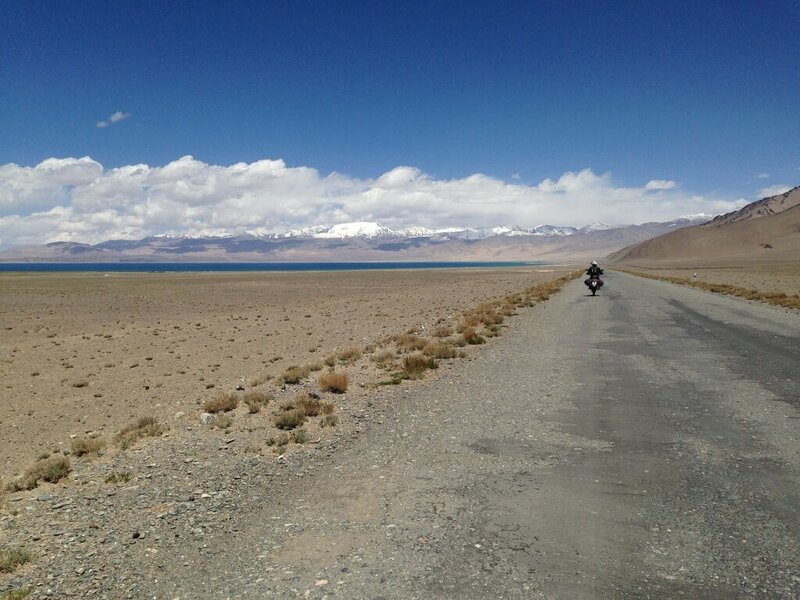 In the words of our guide “the Pamir highway kills bikes”. And he should know! 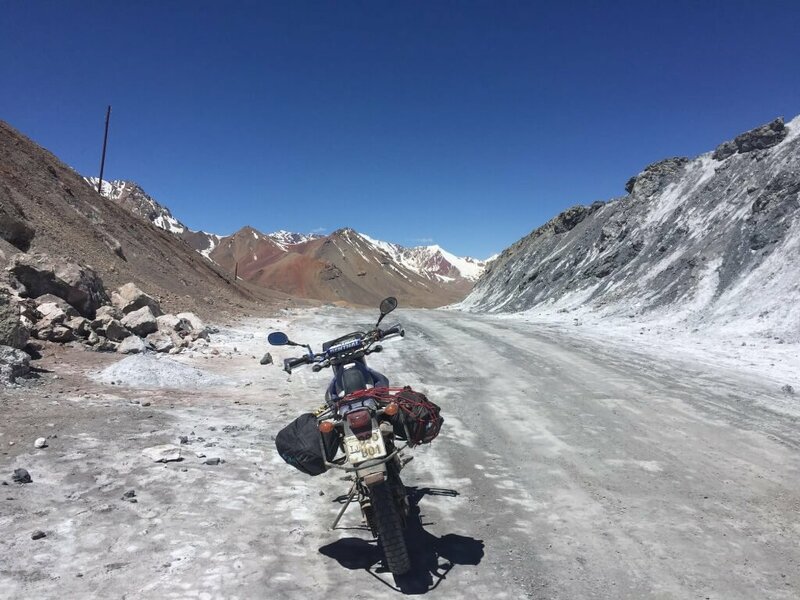 Our local guides have huge experience of working in these often hostile terrains, and after trying – and in most cases still owning – almost every type of bike imaginable (including the usual GS, KTM etc) have opted for the lightweight, mechanically simple and hugely robust Suzuki DRZ400. The bikes cope very well with the bumps and lumps and are comfortable both on and off the pegs. If your drop a bike, it likely won’t break and you’ll be able to pick it and yourself back up without needing a support team and a crane. We are huge fans. 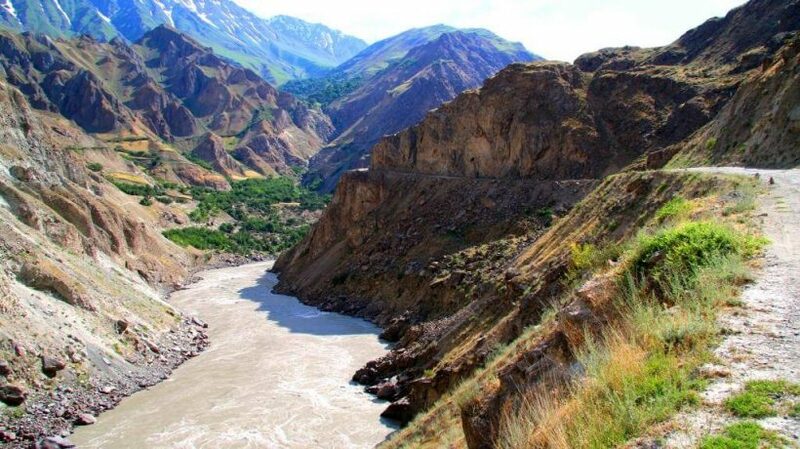 How is this different to other itineraries in Tajikistan and Kyrgyzstan? We’ve been doing this route for some time and we do it differently from others. Our groups are small and our focus is on travelling first and motorcycles second. This means our daily mileages are low as there is just too much to see to be tearing through at breakneck pace everywhere. Other tours cover our mileage in far less time, and we wish them well – it just isn’t our desire to rush through. Remember, our ethos is to take the time to stop, breathe and take it all in. 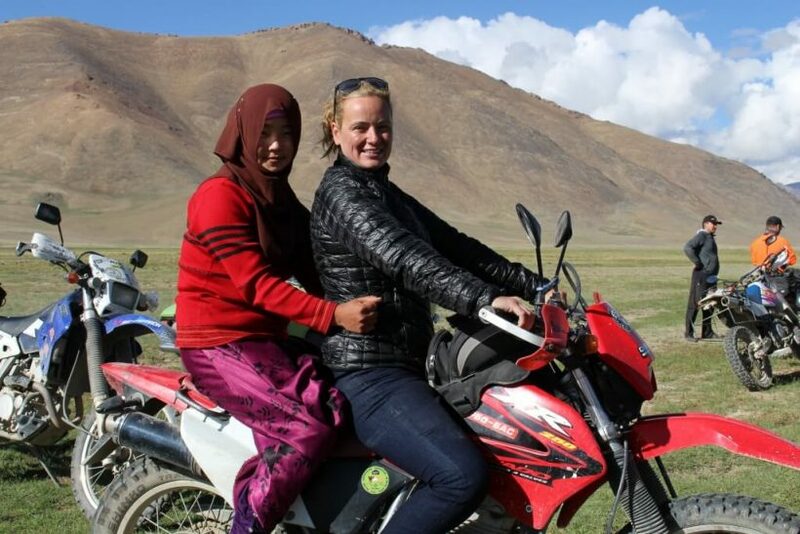 Plus, this is the only chance anyone will ever get to ride the Pamir Highway with Elspeth Beard. A very difficult question to answer when traversing the fourth highest mountain range on earth. But, you can expect some hot days lower in the valleys and off the high plateaus – temperatures could be in 20-30C range or higher. At altitude, we have experienced every season in the course of a single day – warm sunshine followed by winds and rain, hail or snow on the passes and perhaps down to 0 degrees for a short period of time. In general, the rule of thumb is to expect warm days and cooler nights when we are out of the lowland areas. We don’t believe that solo travellers should be penalised with extra charges. It goes against our ethos, so unless totally unavoidable or astronomically expensive, all costs are included in the expedition price. Please note that in many of our destinations, single rooms are simply not available due to the nature of the available tourism infrastructure. How do I choose what to wear on the bike? This is really a matter of personal choice, as all riders have their own modus operandi. However, our experience says that good expedition boots are very useful. We don’t tend to ride using metal-toed dirt boots, but some do. We use an adventure-style boot that allows good ankle protection and is stiff with protection on the shins. 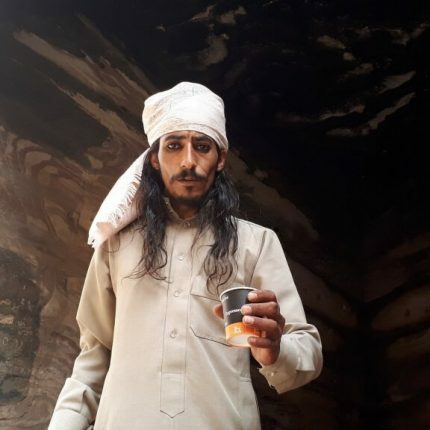 In terms of lid; we tend to favour flip-front helmets that can be lowered when cold and raised quickly to meet and greet people along the way. Although we are there during the least-rainy season we tend to use a pull-on overcoat and trousers that are kept to hand for quick access. Under these we ride in a well-ventilated and elbow/shoulder/back/knee armoured bike jacket and trousers – the better ventilated the happier you will be! As already highlighted, most riders have their own tried and tested methods. Our simplest motto would be to layer for multiple weather types. This is a moving feast! It depends on where you are travelling from and how you want to get there. 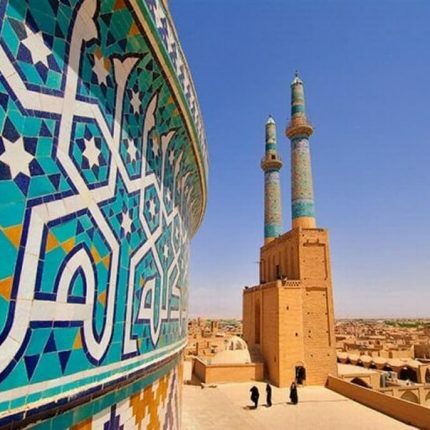 From London, the cheapest flights to Dushanbe might be via Moscow. We use Turkish Airlines via Istanbul because they are good, cost-effective connections. Costs are usually around the £450 mark, return. Again, we’ll send you an information pack containing all the information you need when you book your place. 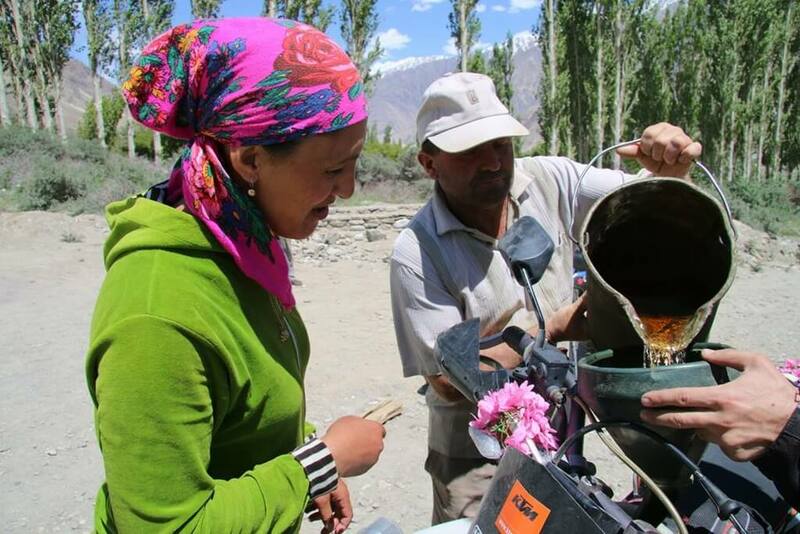 Varied – the Pamir area is not particularly agriculturally inclined, mostly due to the precipitous nature of the topography, and often poor soils. 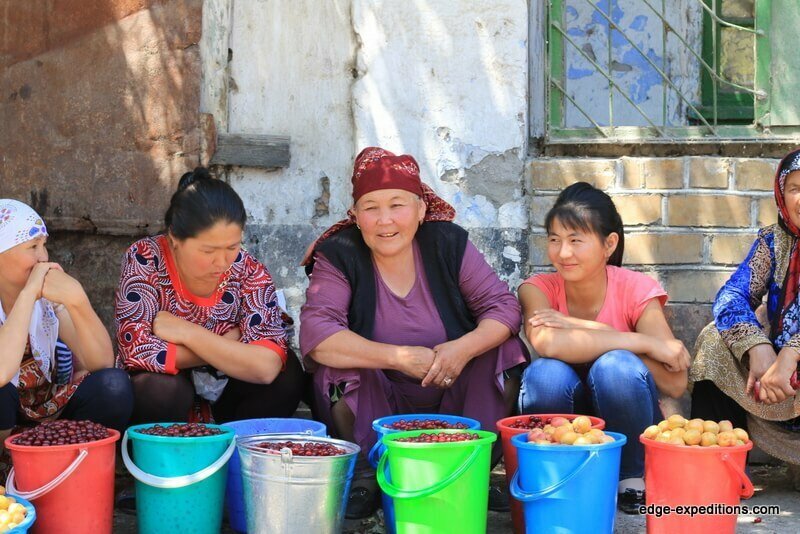 But many of our homestay hosts pride themselves on making good meals for their guests, so we will be well looked-after. If you are a vegetarian, food can be a little dull (lots of bread, potatoes and eggs with salads) but perfectly acceptable. For meat-eaters, pilaf is the main dish. Usually rice and meat in one dish and often very tasty. Freshly made non (bread) is available almost everywhere and can be delicious. We try to ensure we have some treat foods in the back-up vehicle for picnics. In general we think food is a core part of any cultural experience and there are a good number of local dishes to try on our route. Altitude can affect different people in different ways. It can also affect the same person in different ways from trip to trip. We will be spending quite a number of days above 3000 metres, and up on the Alichur and Murghab plateaus, often above 4000 metres. We also cross some high passes, with the Ak Baital being 4700m (over 15,000 ft). If you feel that you might suffer from altitude sickness, or have history of it, you should consider discussing this with your doctor prior to booking and travel. Diamox and other similar prescription drugs are available to ease symptoms, but the key way to address any onset of altitude sickness is to descend. Luckily, from anywhere particularly high, descent is possible rapidly thanks to our back-up vehicle. 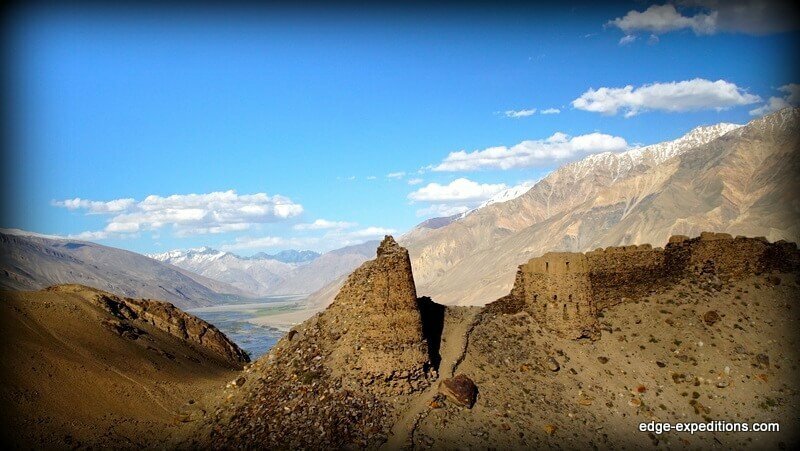 Our route is also planned to gain altitude in the smallest increments possible to aid acclimatisation. Simple precautions and awareness go a long way. Yes, at times. 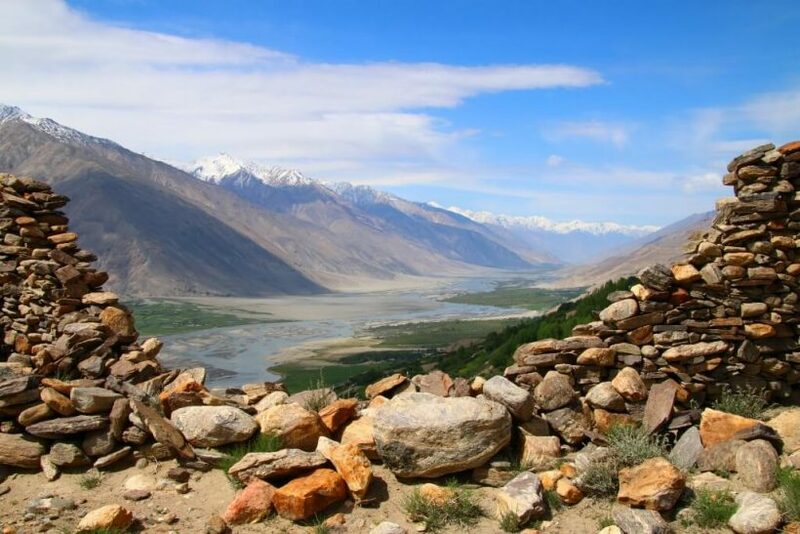 There may be hotels and guest houses where we will have separate rooms and wherever possible we will arrange this, but there will also be times where we are staying at homestays or in yurts when there is no option but to share rooms. This is all part of the adventure, and a reason we love to travel here. It makes sense for light sleepers to bring good earplugs and eyemasks, in case of snorers or the host family waking early. As with any itinerary we need to reach a minimum number of guests to make it viable. 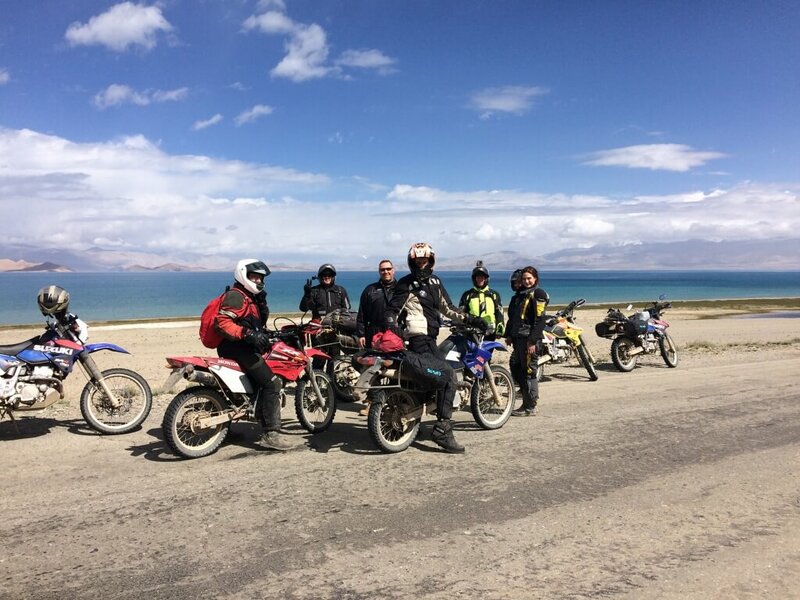 On the Pamir Highway with Elspeth Beard tour this this is 7 people. When you express interest in this expedition, we will send you a deposit invoice to hold your place. This is refundable according to our terms and conditions if we do not reach the minimum numbers. We recommend that you do not book your flights or other arrangements until we have communicated that the expedition is definitely departing as planned and will aim to do this in order to give you at least 3 months prior to the scheduled departure in which to make your travel arrangements. The motorcycles are insured as per local law but in reality this doesn’t mean much. Insurance is effectively non-existent here and disputes are normally settled on the spot to mutual satisfaction. Our local team are there to help in these unlikely situations. 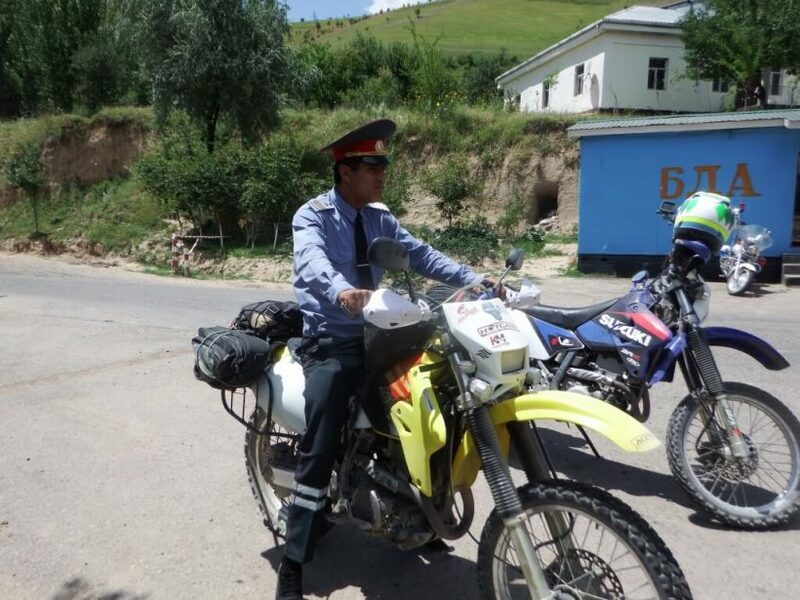 Your own travel/personal insurance should cover you for riding a motorcycle of this size in Tajikistan and Kyrgyzstan. 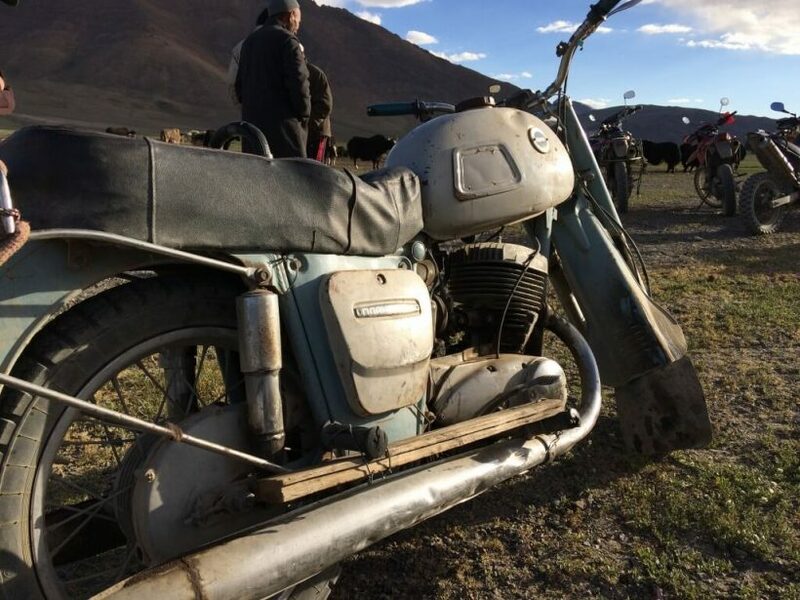 We take a $500 deposit against any wanton or destructive damage to the bike, but accept that broken mirrors or indicators and minor bumps and scrapes are just part of the experience. We are very proud of the routes we design and the way in which we travel them. We don’t cut corners and we plan meticulously. We are a small company that treats every guest as our friend and you won’t find that kind of service in many places. 85% of our customers have re-booked to travel again with us and some of them come on a trip every year. We also do annual expedition and remote medicine training and pay for 24/7 remote medical assistance cover. We employ professional military-grade risk assessments and plan for every possible negative scenario whilst hoping that none ever come to pass. We take our obligations to you and your safety very seriously and this all does cost money. We think the price represents great value for this once in a lifetime experience. The roads are bumpy, some of the loos are terrible, the food isn’t always cordon bleu.